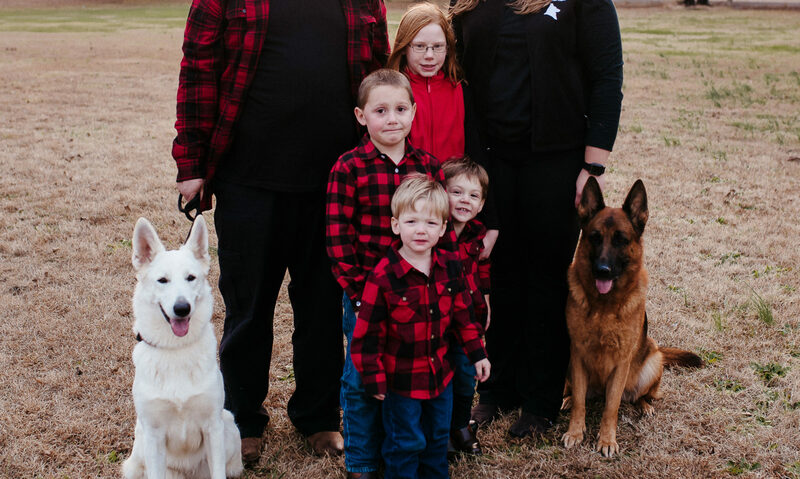 Use the Arrow Down next to My Dogs tab to view all our wonderful shepherds in our family. Our Dogs have their own huge room right off my kitchen that is heated and cooled with a doggy door that leads right outside to our 6 acres. We have no runs or kennels and will never have them. Each one of our dogs and all of our litters are part of our family and are raised right in the middle of our wonderful chaos!